Movies have a team of scriptwriters working on the same story over a few months. Improv shows have a team of ordinary humans working together one second at a time. Can a fully improvised show have the same feel as a scripted piece of art? See for yourself as we present three storytelling teams, each with their own performance style. Ninja With Attitude, a student team from the Haque Centre of Acting and Creativity, will showcase the Harold, a famous improv format that relies on interweaving storylines. 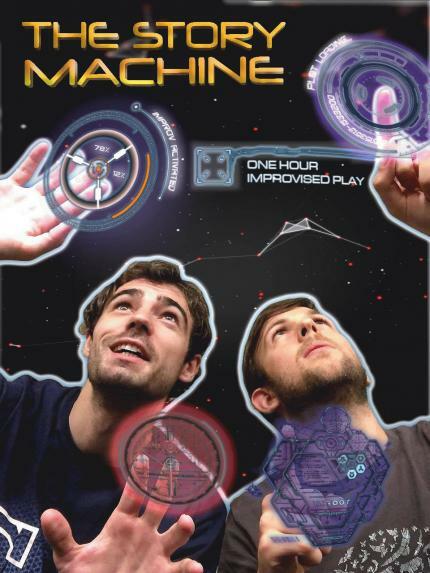 The Story Machine is a duo also from the HCAC, who will ask the audience to direct the show they’d like to see. 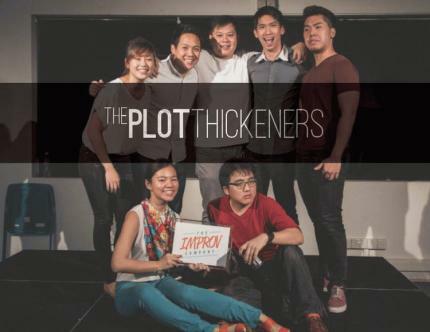 The Plot Thickeners are The Improv Company’s resident dramatic improv team, specialising in rewarding patience with deeply moving payoffs. Tonight we feature gripping tales told in different ways - and we’re not sorry about it! Improvisers like to divide their art form into two main camps - short-form, or games and short scenes popularised by Whose Line Is It Anyway; and long-form, which is basically everything else. Here we define long-form as a single cohesive story, which may feature multiple scenes and non-linear timelines - but is ultimately focused on the quality of the narrative. From 3 to 5 June, come watch the very first improvised theatre fetival in Singapore, Organised by The Improv Company, the festival showcases 15 homegrown local improv teams.